Etisalat Nigeria Archives - Africa M.E. LAGOS (Reuters) – Telecoms group 9mobile is open to new investors but will continue to manage the business in the meantime, its chief executive said on Wednesday at an event to officially announce the company’s new name to replace Etisalat Nigeria. 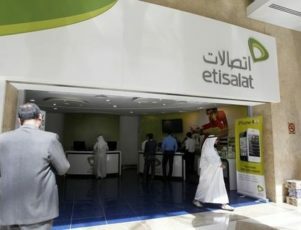 UAE’s Etisalat terminated its management agreement with its Nigerian business in June and surrendered its 45 percent stake to a trustee following regulatory intervention to save the local company from collapse due to debt. 9mobile CEO Boye Olusanya said the company had retained its workforce and that Etisalat’s withdrawal had not led to a loss of business opportunities. “Like any business we are always available for someone with a good offer … but we are prepared to manage this business for the long haul,” Olusanya said at the event in Lagos. He declined to say how much the re-branding cost. 9mobile has 20 million subscribers, making it the country’s number four mobile operator with a 14 percent market share. South Africa’s MTN has 47 percent, Globacom 20 percent and Airtel – a subsidiary of India’s Bharti Airtel – 19 percent. Etisalat Nigeria had been in talks with its lenders to restructure a $1.2 billion debt after it missed repayments, but the discussions failed to produce a deal, forcing the banks to step in and order shareholders to transfer their shares to a loan trustee. Lenders have now taken control and appointed a new team to manage the company with a focus on getting it back to profitability while working to eventually raise new capital. “If at any point in time someone does come in with an offer that is attractive then that person will have the right to do whatever they want to do with the brand,” Olusanya said. The telecoms regulator, Nigerian Communications Commission (NCC) approved the brand name change on Tuesday. Under Nigeria’s telecoms law, the regulator has to also approve a transfer of telecoms licences or any new investor in a telecoms company with more than 10 percent of the shares. NCC spokesman Tony Ojobo told Reuters that the brand name change did not affect the terms of the license which was granted to a Nigerian entity known as Emerging Markets Telecommunication Services (EMTS). He said it was a change to its trading name. LAGOS (Reuters) – Etisalat Nigeria is focused on getting the telecoms group back on track to make a profit after it was saved from collapse, while working on the paperwork to eventually raise new capital. “Our mandate is to make sure the business runs as profitably as it can. What is most important now is to … ensure that the business runs and meets its obligations,” the company’s new chief executive Boye Olusanya told Reuters on Tuesday. Nigerian regulators intervened last week to save Etisalat Nigeria after talks with its lenders to renegotiate a $1.2 billion loan from 2013 with 13 local lenders failed. Etisalat Nigeria has 20 million subscribers, making it the country’s number four mobile operator with a 14 percent market share. South Africa’s MTN has 47 percent, Globacom 20 percent and Airtel – a subsidiary of India’s Bharti Airtel – 19 percent. “Once we’ve gotten ourselves to where certain decisions are made and the structure and form of the business is formed then maybe we would look at a capital raising structure that would be suitable for the nature of how the business will be run,” the new CEO said in an interview in his offices. Olusanya, who took over as CEO of Etisalat Nigeria following the appointment of a new board led by Nigeria’s central bank, said that while the business could run without an immediate recapitalisation, he would not rule one out completely. “Obviously if its possible to do it tomorrow we will do it, because that enhances the ability of this business to roll-out quickly, to get more subscribers, which is what everybody wants,” he added. UAE’s Etisalat, which had a 45 percent stake in the Nigerian business, has said its exposure to Etisalat Nigeria related to services worth 191 million UAE dirhams ($52 million). In June, Etisalat said it had been ordered to transfer its shares to a loan trustee after debt talks failed. “We’re still in negotiations with Etisalat over the use of the brand name,” Olusanya said, adding that the technical service agreement with Etisalat covered the brand name but the telecoms company was run by Nigerians. The former Celtel executive said he has plans in place to rename the company if needed after UAE’s Etisalat said it had terminated a management agreement and given its one-time Nigerian business time to phase out the brand. 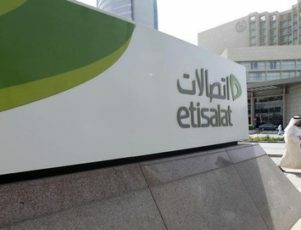 All UAE shareholders in Etisalat Nigeria, including state-owned investment fund Mubadala, had exited the company and left the board and management, Hatem Dowidar, CEO of Etisalat International, told Reuters.